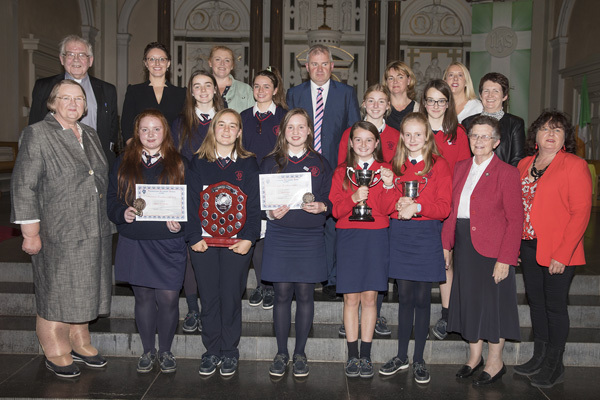 Presentation Secondary School, Clonmel celebrated the 22nd Annual Presentation Awards for Excellence in St.Mary’s Church Irishtown in October. The awards acknowledge the tremendous achievements of the girls across the whole spectrum in education in the school. The awards recognize that this pursuit of excellence is not confined to academic achievement but encompasses the whole range of activities that makes for a rounded and balanced education. The evening is a celebration of the achievements of the students over the past school year. 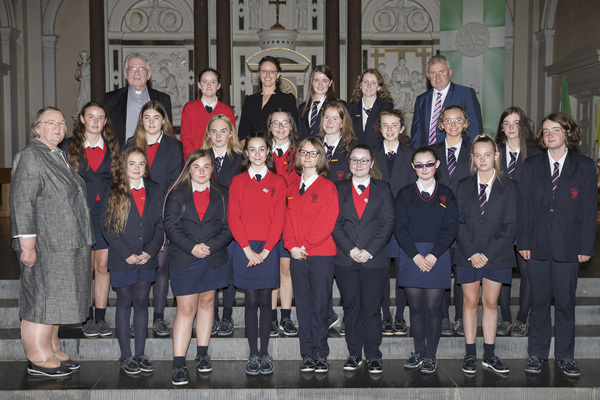 The evening began with a beautiful rendition of “One Step Beyond” by the Transition Year Choir under the guidance of music teachers, Ms. Siobhan Alley and Ms. Jennifer Williams. 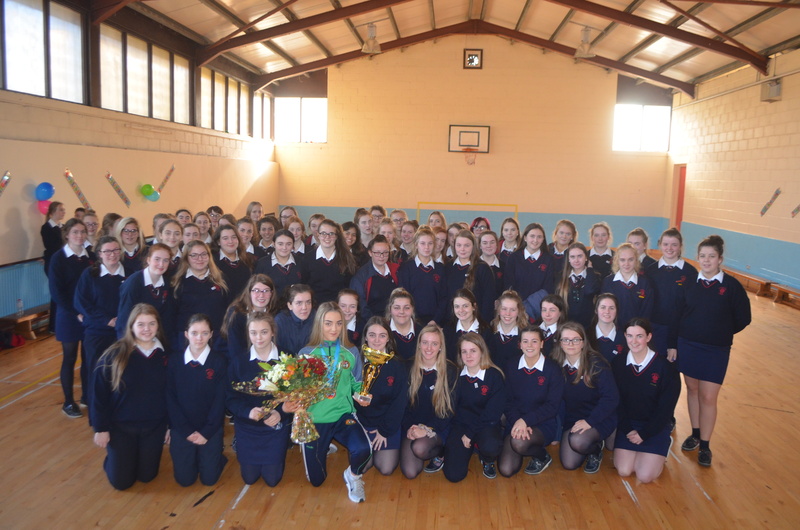 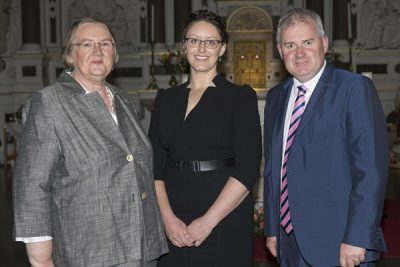 The school was delighted to have Juanita Guidera HSE Staff Manager and past pupil, as our guest speaker. 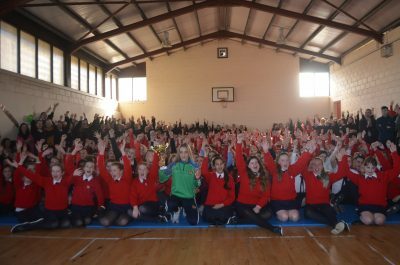 Juanita spoke about the value of fulfilling one’s own dreams and aspiration in their education and career paths. Mrs.Ethel Reynolds (Principal) welcomed the large attendance which included special guests, Presentation Sisters from the local community and the trustees representatives, members of the Board of Management, Teachers, Parents, Sponsors and most importantly, the students themselves. 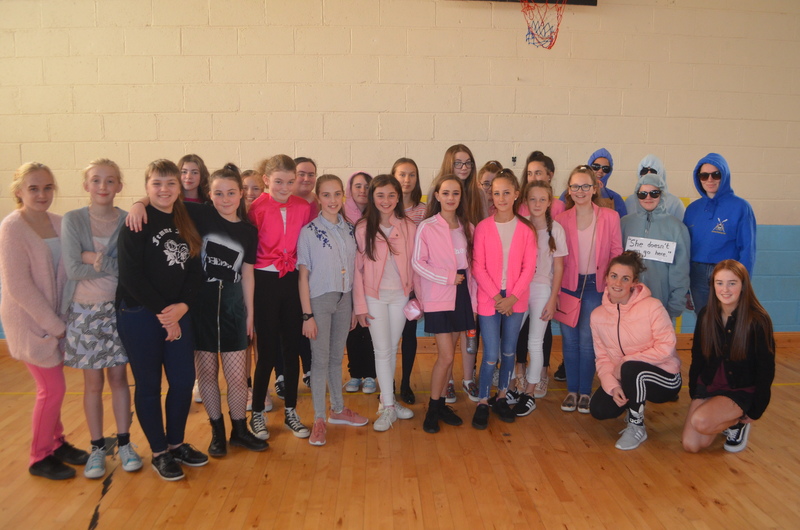 The evening started with a presentation by Mr Martin O’Loughlin & Ms.Marie Lawlor to over 90 girls for their involvement in extra-curricular activity. 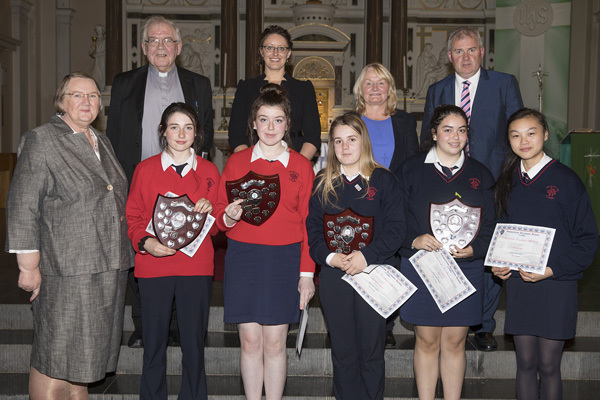 In presenting these certificates, the school recognized the outstanding achievements of the students in their chosen field of activity and is acknowledging the ambassadorial of the students on behalf of the school. These awards were followed by the Academic Awards. 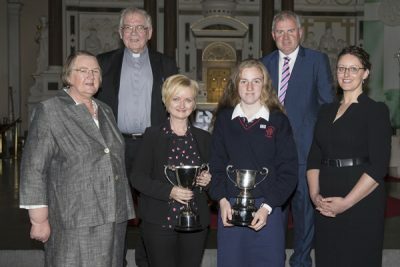 Mr.Michael O’Loughlin (Deputy Principal) presented the Junior Cert Academic Award to Lillie Wall, a past student of Ballymac N.S..
Mrs Reynolds (Principal) presented Leaving Cert Academic Awards. Traditional Leaving Certificate Award was presented to Aoife O’Farrell, a past pupil of Grange N.S who achieved points in her Leaving Certificate. 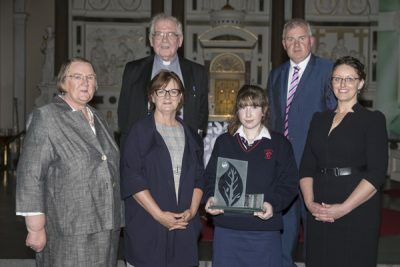 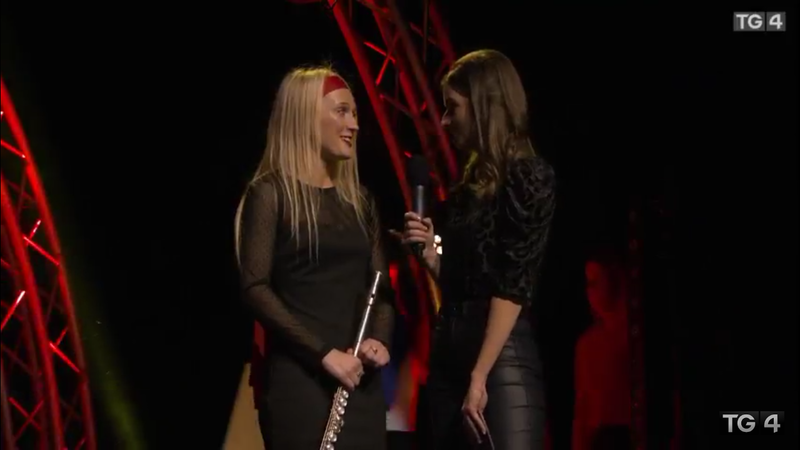 Aoife is now studying Engineering in UL. Special Category Awards were presented in areas such as CEIST award, Creativity, Enterprise & Initiative, Sports Awards, Student Peer Awards, Scientific Endeavour and Master Chef. These awards recognized the tremendous work by students outside the academic area and their participation in extra curricular areas in the school community. 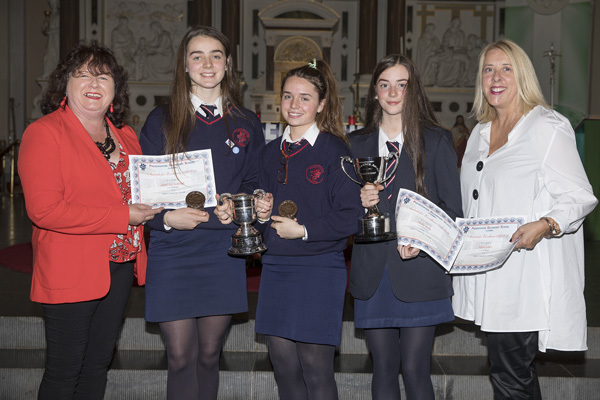 After the presentation of the special category awards, the members of the Student Council were presented with the badges by the Student President, Aoife Walsh. Mrs Reynolds concluded the ceremony by congratulating all the award recipients for their individual achievements and paid tribute to teachers & students for organizing the smooth running of the event. 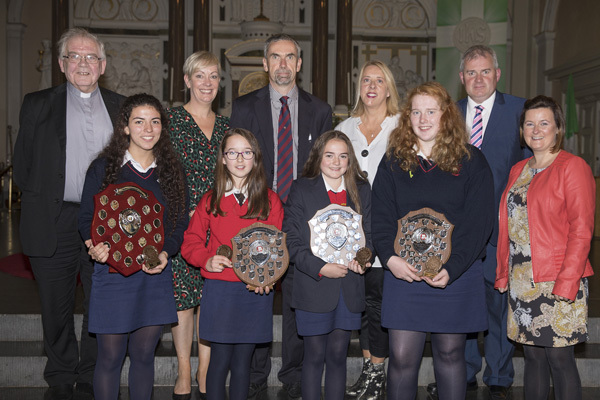 The Student of the Year Award from the 1st to 6th year groups were presented by the respective Year Head in association with the sponsor of each year group. 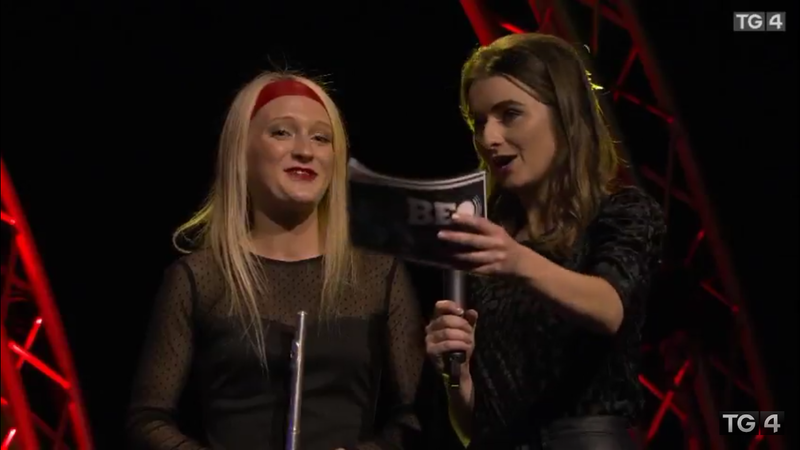 Nominations from each year were invited on stage and with mounting tension, the Year Head read out the winner. 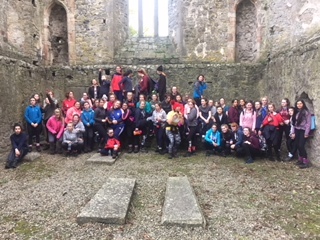 Our Tys completed a three day walk from Cashel to Ardmore. 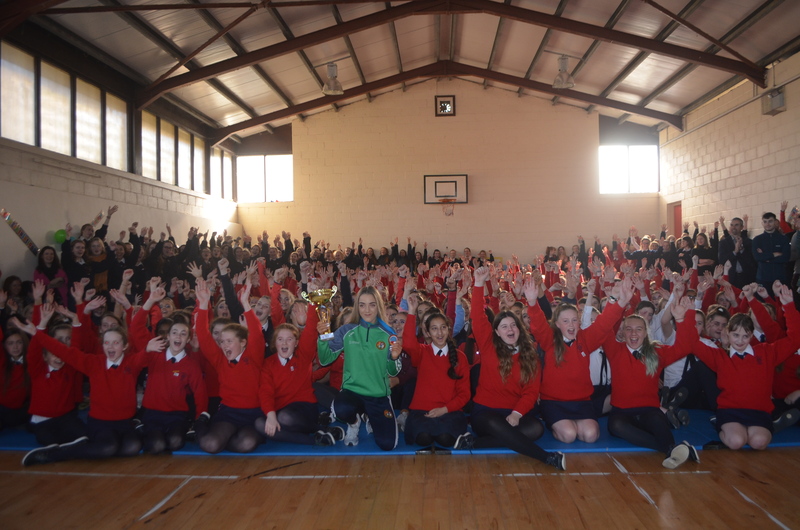 Thanks to Mr.Buckley and team of teachers for organising it. 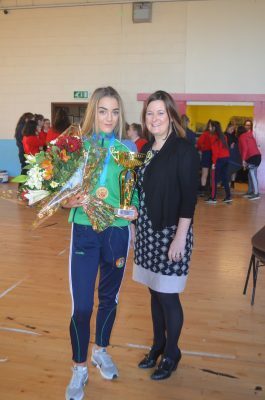 We had sensational news from Russia as Ellie Mai Gartland (6th year) won a Gold medal in the European Boxing Championships. 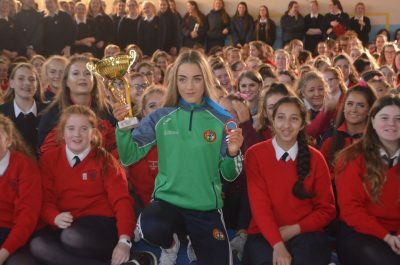 The school held a reception for Ellie Mai when she returned. 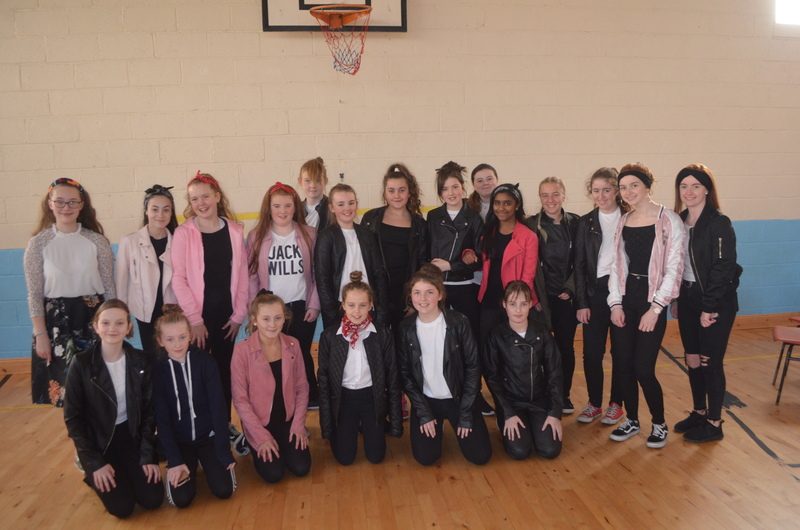 Thanks to Ms.Bolger and sixth year students for organising the event. 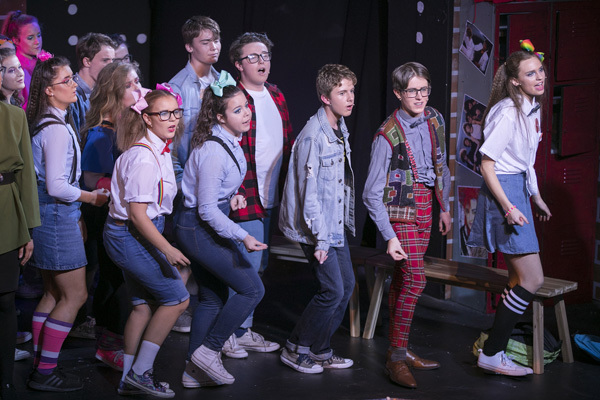 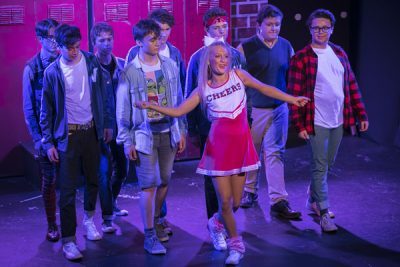 The High School and Presentation Secondary School, Clonmel presented “Now,that’s what we call 80s” as their annual school show in the White Memorial Theatre, Clonmel recently. This joint schools project has been running for forty years. 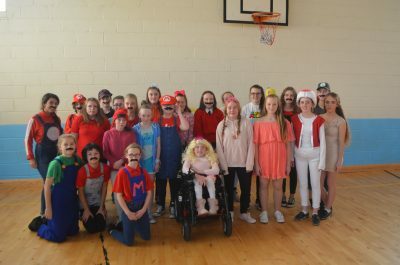 We were treated to another excellent production. The Theatre was packed to capacity for the four nights. 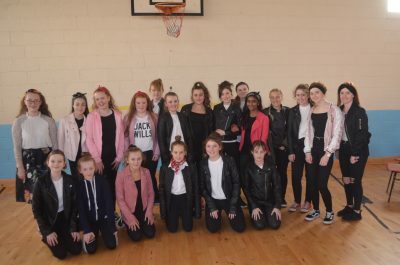 The students also performed three matinees for the local primary schools.The show provided some great nights of entertainment as the boys and girls of Highschool Clonmel and Presentation Secondary School,Clonmel performed to their normal high standards.The cast was treated to standing ovations on all nights such was the great reaction to the show. 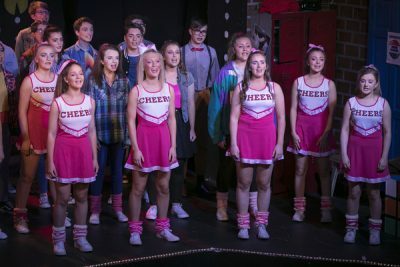 Great acknowledgement should be given to the Producer and Director, Jennifer Williams, with musical direction from Siobhan Alley and Olga Gannon. 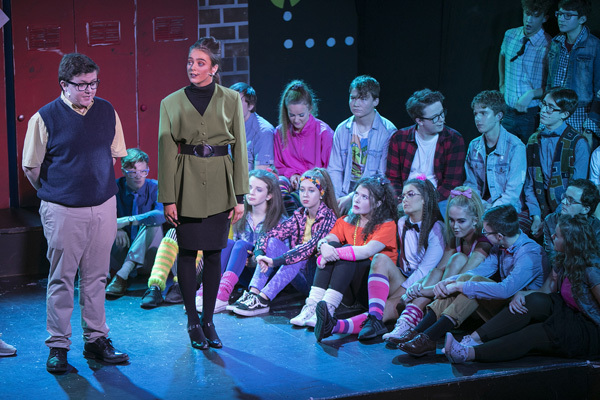 The students had been working hard since their return to school in late August and they can be very proud of their production. 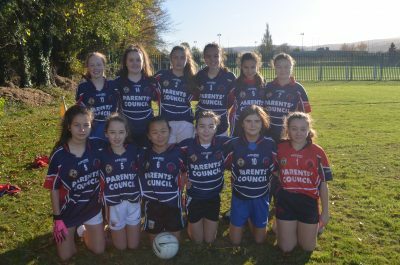 Our 2nd Yr Gaelic Football participated in a Blitz for Presentation schools as part of our Tercentenary Nano Celebrations.Both of our teams reached the A and Shield final. 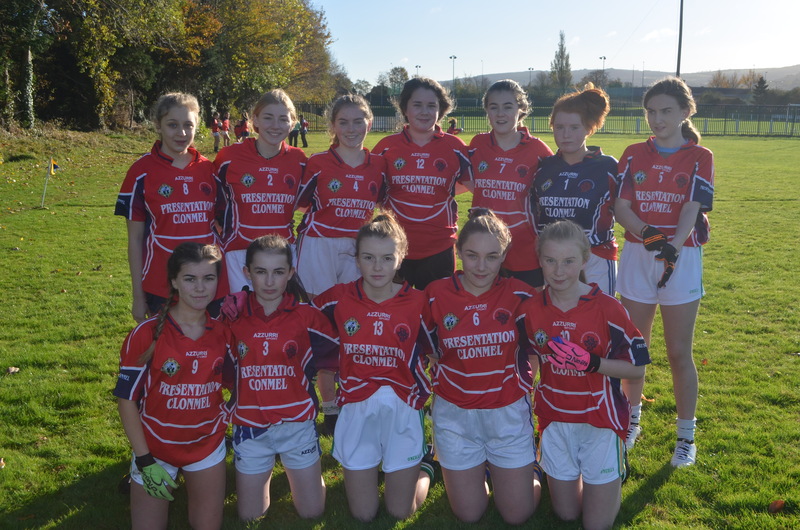 Congrats to Pres Ballingarry on winning the A final and to our own girls on winning the Shield final. 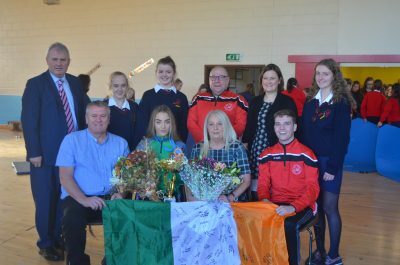 Tá lúcháir orainn go bhfuil Méanscoil na Toirbhirte roghnaithe don Bhabhta Ceannais ag Oireachtas na Samhna 2018. 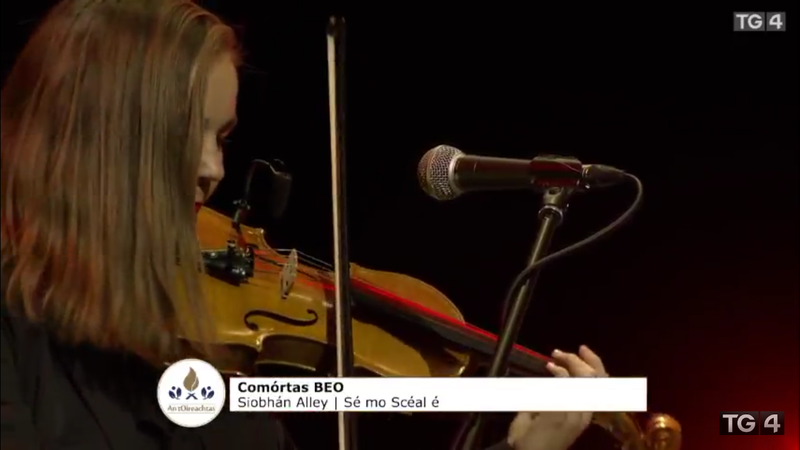 Presentation Clonmel participated in the Comórtas Beo Final 2018 which is part of Oireachtas na Samhna and organised by Foras na Gaeilge. 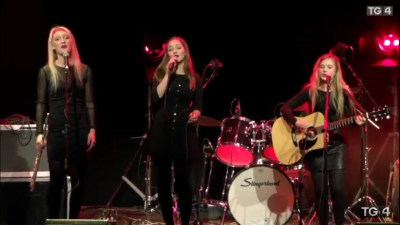 This is a song competition which looks for composed songs as Gaeilge and is aimed at young people between the ages of 11-18 .The group also had to make a promotional video as part of their entry to the competition. 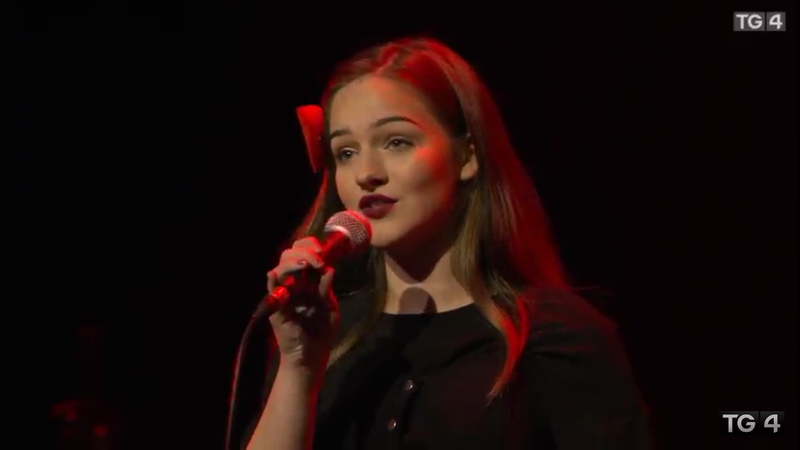 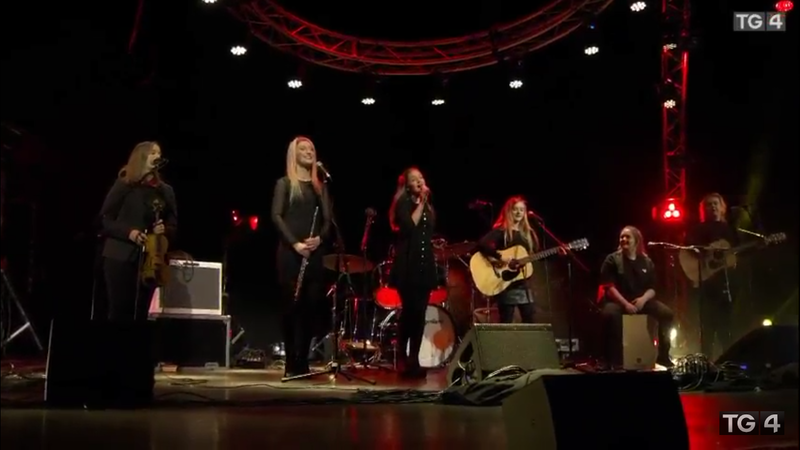 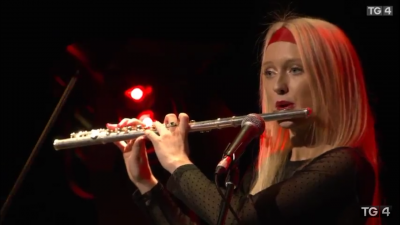 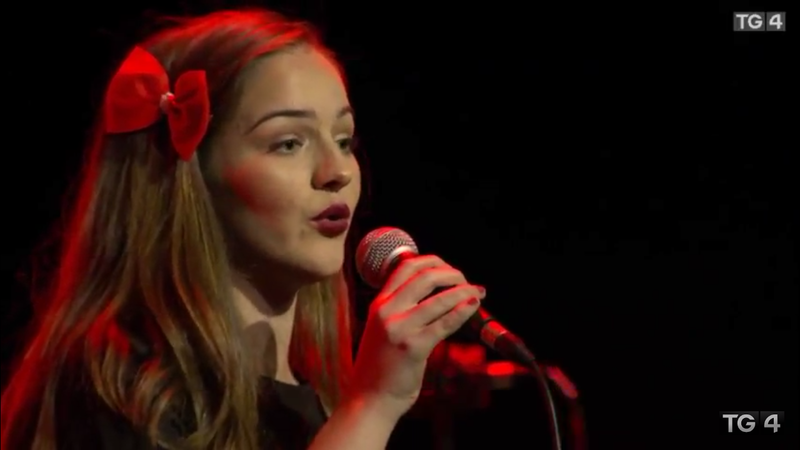 Eight groups from around the country were selected to perform live in the INEC Killarney on Nov 1st and TG4 streamed the competition live on line. 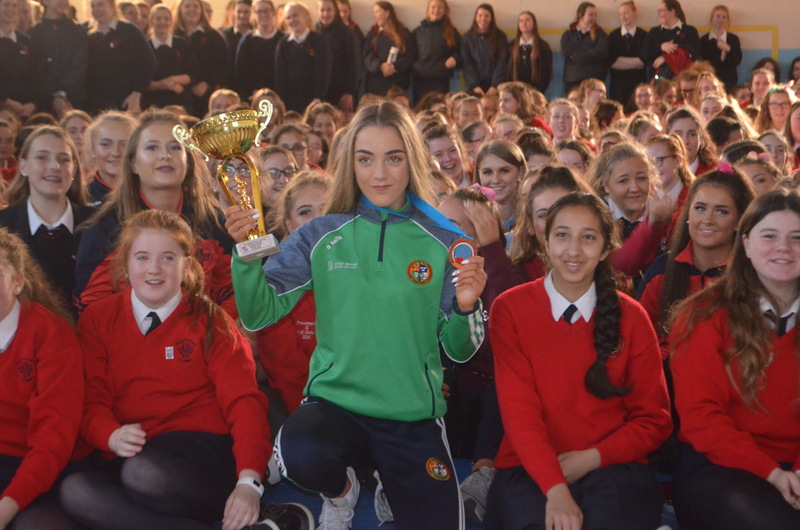 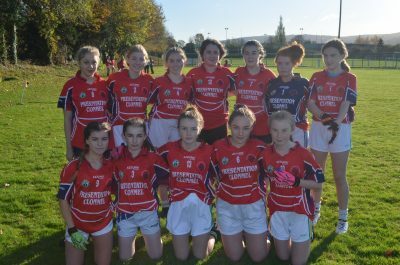 We congratulate the girls involved in the group and the video: Cailín Napier, Lauren Moriarty, Alanna Gilbert, Julie Holland, Aimee Shine, Caitlin McVicker, Casey laste,Leah Clancy, Ella Traas, Anna Tobin, Gillian Juleff . 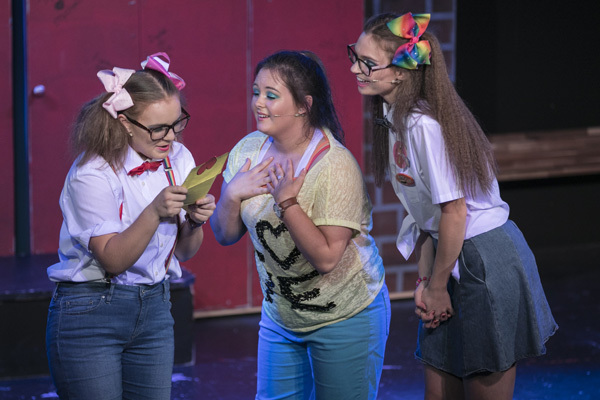 Teachers: Ms S Alley, Ms.Williams and Ms S Millea. 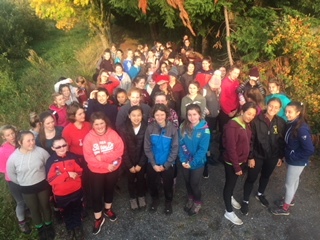 Our Third years visited the Burren. 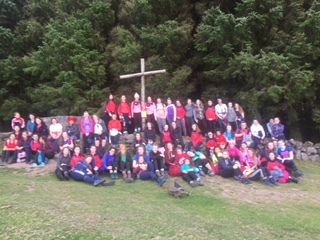 Thanks to Ms. Fennell and Ms. Murphy for organising the trip. Below are some photos taken from the 1st years Halloween Party.